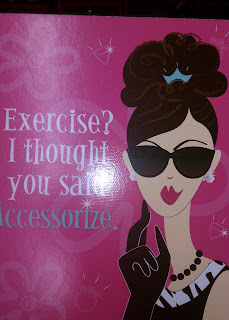 "Exercise? I thought you said Accessorize." My daughter and I were in the store and she found this picture..